About the author: Orkideh Behrouzan is Associate Professor at the Department of Anthropology at SOAS University of London, and a 2015-16 Fellow of the American Council of Learned Societies. She is the winner of the 2011 Kerr Award from the Middle Eastern Studies Association. "Behrouzan blends deep historical insights that are indigenous to the region with “imports” and insights that were as relevant in 9th and 10th centuries are they are today. She blends English and Persian. 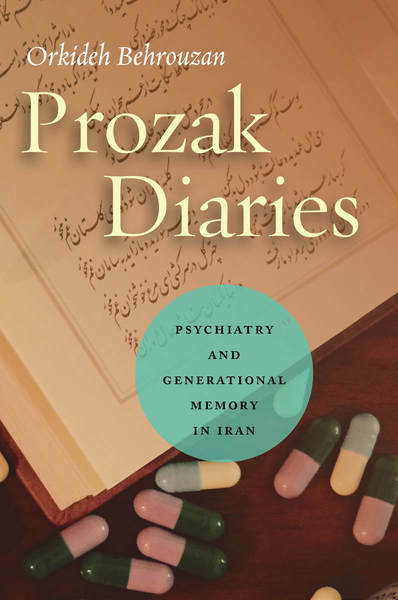 She blends biomedical and poetic language, cultural and political references... By any standard, ProzakDiaries is meticulously crafted and exceptionally well-executed. Behrouzan’s medical training, deep historical perspective, cultural analysis, and careful ethnographic writing illuminate a way of thinking about the Middle East that is often lacking. [This book] should be considered an invaluable ethnography for all medical students, medical and psychological anthropologists, those interested psychoanalytic theory, and those studying the Middle East, Central Asia, or the Muslim World in general."